» Germany / Borussia Dortmund: Aubameyang on departure? Football Germany / Borussia Dortmund: Aubameyang on departure? 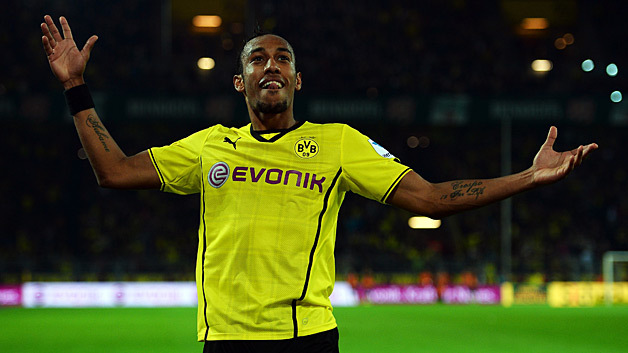 Despite an acceptable season, Pierre-Emerick Aubameyang would feel cramped at Dortmund. The Gabonese striker could leave the BVB as announces the German newspaper Bild on Monday. Author of 13 goals in 32 games in his first in Bundesliga, the former Saint-Etienne, however, did not blush. However, he has gone through a difficult season. He has not played a lot with competition with Robert Lewandowski and has often been shifted to the right side. And while he still has a 5 year contract with the marsupials, the future of the Panther seems uncertain next season. Aubameyang is not in short of suitors. AS Roma has already positioned to welcome him.